Mozambique: Constitutional Council Rejects Venancio Mondlane - Renamo Can Appeal, but Does it Have Time? Venancio Mondlane will not head the list (and thus be candidate for mayor) for Renamo in Maputo in 10 October elections. The Constitutional Council (CC) today rejected Renamo's appeal against the National Elections Commission (CNE) rejection of Mondlane's candidacy. Mondlane resigned from his seat in the Maputo municipal assembly when he was elected to the national parliament in 2014, and the law does not allow someone to stand for municipal assembly if they resigned during the previous term. The CC decision is on http://www.cconstitucional.org.mz/Jurisprudencia/8-CC-2018. The Renamo appeal and CC decision were both unusual. Renamo asked for the electoral law to be declared unconstitutional, and did not challenge the actual CNE decision. And in what is a far-reaching ruling, the CC said that neither a party (Renamo) nor an individual (Mondlane) has the right to challenges the constitutionality of a law. The CC cited the constitution which says the only people who can ask the CC to declare a law unconstitutional are a) the president, b) the speaker of parliament, c) one-third of he members of parliament, d) the prime minister, e) the attorney general, f) the ombud, or g) 2000 citizens. Renamo has more than one-third of MPs so they could return to the CC, but there is little time before the elections. The decision was unanimous, including Manuel Frank, a judge named to the CC by Renamo. Lawyers were surprised at both the ruling and the Renamo appeal. The "constitutional" council is the most senior court, yet is has effectively ruled it does not have the power to declare a law unconstitutional unless the request is brought by one of seven people or groups, while some lawyers argue it does have that power. And Renamo might have had grounds to challenge the actual CNE decision, including claiming the new law did not apply and that being elected to the national parliament meant Mondlane had to leave the municipal assembly and thus was not a "resignation". The rejection of Mondlane's candidacy resulted from a challenge by MDM. He was elected to municipal assembly in 2013 and parliament in 2014 for MDM, but abandoned MDM and was attempting to stand as head of the Renamo list this year. With the removal of Mondlane as head of list, the second on the list, general Herminio de Morais, becomes head of list and mayoral candidate. Morais is an administrator at the state oil company Petromoc. Police launched teargas this morning (Tuesday 4 September) in Maputo city against supporters of Venancio Mondlane, according to Renamo press spokesperson in Maputo, Gilberto Chiridza. The CNE acted unconstitutionally by voting in a party-based way, argues AJUDEM in its appeal to the Constitutional Council. AJUDEM is the citizen's list in Maputo headed by Samora Machel Jr ("Samito"), which has not been allowed to stand in the 10 October municipal elections. Every list must have as many members as there are seats on the assembly plus at least three alternates. The AJUDEM had 6 alternates, but 4 candidates withdrew - allegedly under pressure from Frelimo - and the list was one alternate short so the CNE rejected the list. AJUDEM has now challenged this in the CC. The constitution requires the CNE to be "independent and impartial' but legislation means that a significant number of members are named by parties. This has never been challenged before. But in the vote in the CNE, Frelimo-nominated members voted to exclude AJUDEM and Renamo nominated members voted to keep the list. Since this decision was clearly party based, it shows a "lack of impartiality" and the CC should reject it, argues AJUDEM in its petition to the CC. AJUDEM makes three other arguments. One is that the law makes clear that the list must have enough members at the deadline for submission, which it did, even if people withdrew later. The second is that if people leave the list after that deadline, the party must be given an opportunity to substitute them. Third, it argues that the CNE failed to notify the party agent (mandatario) of withdrawals and failed to give him the opportunity to replace them. The partyization of the CNE is the result of various peace deals between the government and Renamo, but this is apparently the first time anyone has challenged their constitutionality. There is little chance that Manuel de Araujo will be able to stand again for mayor of Quelimane, this time as head of the Renamo list. The local authorities law (7/97) says mayors cannot change parties, and if a mayor joins a different party or stands of a different list from the one on which they were elected, they lose their post. The same law says that a person cannot stand in the next election for a post they have lost in the previous term. Araujo had been in Renamo, but was elected Mayor of Quelimane for MDM. But he was attempting to stand now as head of the Renamo list. The Council of Ministers ruled last week that he had therefore lost his post as mayor. Any appeal would be to the Administrative Tribunal, and he has until 18 September to appeal. His appeal will be based on fairness, and that he had a right to be heard by the Council of Ministers before he was removed. The response is that a hearing was unnecessary, as the position is clear as he is named as head of the official and approved Renamo list. It has been noted that the Council of Ministers did not take a similar action against Daviz Simango in 2008 when he stood for mayor of Beira after being excluded by Afonso Dhlakama as Renamo mayoral candidate. But there are key legal differences. Simango had been elected in 2003 for a coalition, Renamo Uniao Eleitoral (Renamo-UE), which by 2008 had been dissolved. And Simango stood as an independent, not for a party. Thus his action did not violate the law. The official two-week election campaign starts on 25 September. But campaigning for the 10 October municipal elections has already started - as is allowed under freedom of speech guarantees in the constitution. The "official" campaign only gives parties extra rights, for example to use meeting halls. These elections will be much harder fought than previous municipal elections. The governing party Frelimo is under more pressure because of lack of rural development and the $2 billion secret loans, so it will make maximum use of the advantages of being in government. This raises questions about what makes an election "free and fair". Most important is that there is no requirement that all the parties be equal - some are large and some are small, some are competent and some are not. In any country, opposition parties are at a disadvantage and there is never a requirement that opposition parties be given special advantages. Fairness is about equal treatment under the law. However, Mozambique is unusual in several ways. First, Frelimo has been in power for 44 years and the civil service is quite politicised, while the biggest opposition party Renamo has members of parliament but also maintains a military force. Ongoing peace negotiations have a direct impact. For example, earlier this year Frelimo threatened to delay the elections to force Renamo to move on disarmament. 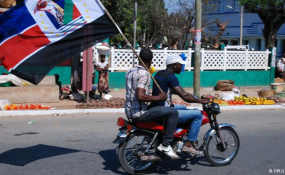 Second, in many countries (including South Africa) the electoral commission is seen as independent and neutral, but in Mozambique, Renamo has insisted that the elections commission and administrative machinery (CNE and STAE) be increasingly politicised. Renamo has always argued that politicization is essential to allow it to keep a closer watch on Frelimo. But that sharply increases the responsibility and tasks of the opposition. In this pre-campaign period Frelimo has taken advantage of having better lawyers and knowing the law. For example, Renamo complains of having its campaign marches stopped. But the law is clear - in normal times demonstrations must be agreed with the police in advance, but in the two week electoral period no advance notice is needed. Renamo demands that this be applied now, even though the law is clear and its marches were planned and could have been announced in advance. Looking at the excluded parties and candidates, again it was clear that there were legal problems with candidates for mayor changing parties and also moving up from municipal assembly to national parliament, and it appears the candidates and Renamo had not read the law. The error here was two-fold. First, the new municipal election law was discussed in parliamentary commissions and then agreed by parliament - Renamo could have made the required changes then, without difficulty, but it was not paying attention. Second, the affected candidates, Manual de Araujo and Venâncio Mondlane, should have been aware that they would face legal challenges, but appeared not to notice. With respect to Samito and AJUDEM, it was obvious from the start that Frelimo would apply all weapons at its disposal to crush a dissident force. By submitting a candidates list with so few alternates, the door was left open for Frelimo to pressure just four people to withdraw. Lists can have unlimited numbers of alternates, and surely AJUDEM could have found more people. Opposition parties cannot complain about unfairness if only the governing party bothers to read the law - especially when the electoral structure has been constructed to give such a huge oversight role to opposition parties. Nonetheless, Frelimo's long years in government has created a huge imbalance in power, and Mozambican elections this year and next will not have "level playing fields". Renamo has never wanted to reduce the arbitrary powers of government, but has always wanted to gain access to those powers - for example, wanting elected governors but assuming that elected Renamo governors would have the same ability to appoint officials and spend money. In the coming month, both sides will use their special advantages - Frelimo controlling the government and civil service and Renamo maintaining a small army - and the struggle for a more level playing field will continue. Pressure was put on journalists of the community radio of Mutarara-Tete to not cover the visit of Ivone Soares, head of the Renamo parliamentary bench, to Nyamayabue to introduce the mayoral candidate Saturday 1 September. Journalists say they were threatened by Lucas Manuel Mirione, local head of organization and propaganda for Frelimo.